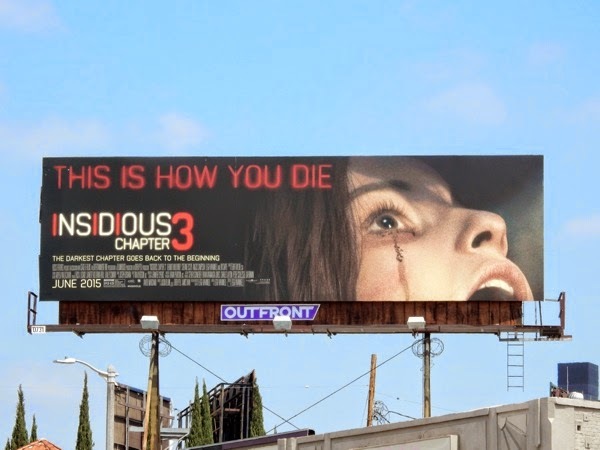 If 'this is how you die' it looks like it's with a whimper and not a bang (to channel and reword T. S. Elliot's poetry), as the latest installment in the supernatural horror franchise, Insidious: Chapter 3, goes back to where it all began in a familiar horror trope. 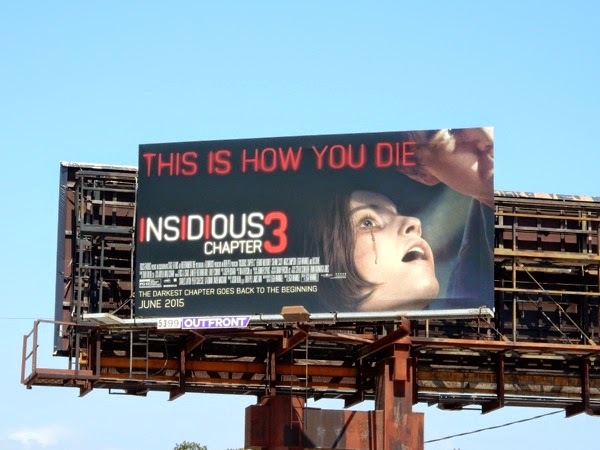 In this prequel set before the 'Lambert' family haunting, gifted psychic 'Elise Rainier' (Lin Shaye) reluctantly agrees to use her ability to commune with the dead to help a teenage girl targeted by a malevolent paranormal entity. 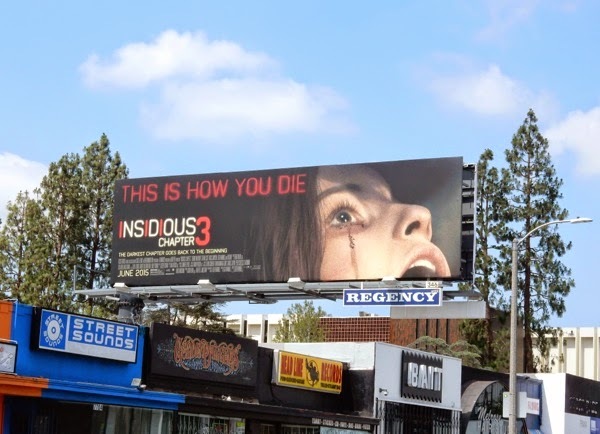 Interestingly with these billboard creatives the closeup version of the woman's tearful eye seems to convey the most fear, whilst when you pull out a bit and see another person in the shot it loses its sense of terror a tad. 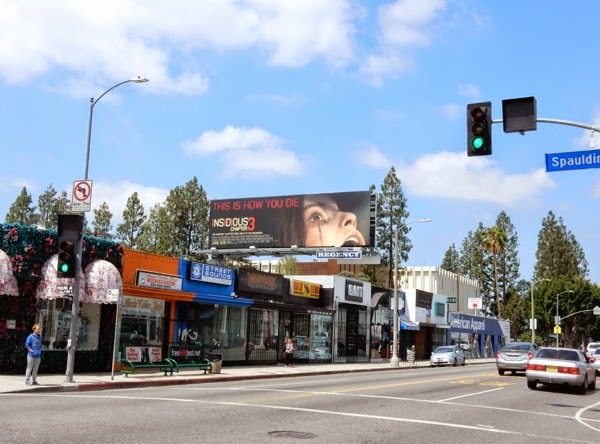 The larger landscape billboard was spied along Melrose Avenue, plus also above La Brea Avenue with a smaller ad close by on May 19, 2015. 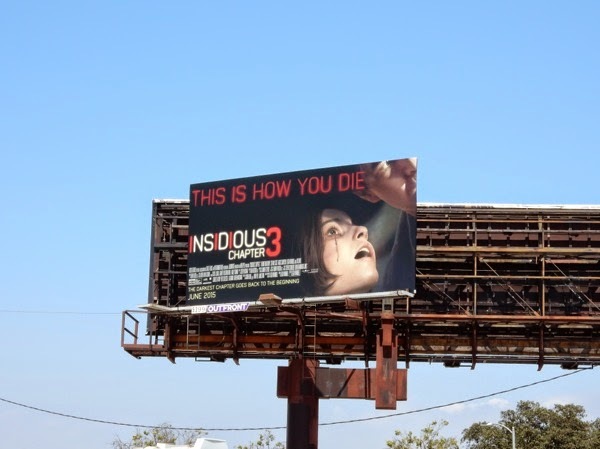 If you're a fan of the horror film franchise, be sure to also check out these Insidious: Chapter 2 billboards and cool movie costumes from Insidious: Chapter 2 on display. 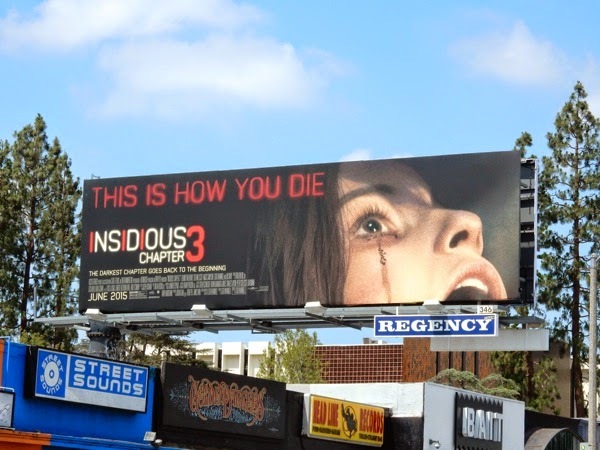 In a Summer filled with talking teddy bears, dinosaurs and cyborgs, Insidious keeps the scares coming.